I turned to Facebook a few weeks ago to ask for advice about generators, but unfortunately I got those typical responses where people tried to be clever and/or simply pasted links from a Google search. This started to frustrate me, I run a company that relies heavily on Google, trust me, I know how to search! But not just that, I was blown away that nobody could give me a straight answer. What’s that saying, “If you want something done properly, do it yourself”? I think so, so that’s what I started to do. The first thing I did was look at all the computer shops for their UPS’s, but it became quite apparent that a UPS isn’t really the way to go, we need generators. So although I don’t understand sine waves and kW’s, etc. I was able to find some articles and resources that I think you will find useful. If you want to run your basic items at home like some lights, a kettle, alarm, fridge and so forth, you really are going to need something that has an output of about 5.5kW. Upon further research I found that you can get a Ryobi (decent brand) from Makro for around R8,000. Not cheap, but it’s one of those things: Do you want your lights, freezer and so forth to be powered and if you do, would you fork out R8,000 for it? 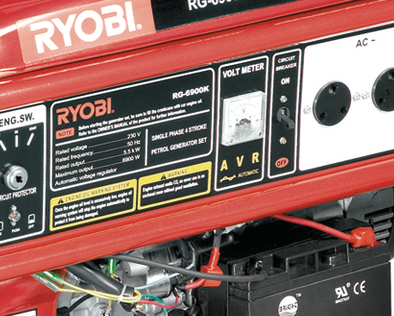 This Ryobi generator is petrol powered and holds up to 25 litres, it weighs 88kg and comes with a 2 year guarantee. From a size point of view, it does have wheels at least and comes in at 74cm (L) x 55cm (W) x 58cm (H). I’m not 100% certain about the petrol side of things, but 25 litre’s costs R281 (I think) and another drop is expected. My guess is that a generator like this would run for say 4 – 5 hours at full capacity. Let’s say we experience 10 hours a week of load shedding, that means you’ll have to spend R562/week on petrol. With that being said, I doubt you would need to run the generator at full capacity for 10 hours a week unless Eskom really do have a massive problem and even so, we can survive without electricity whilst we’re at work and so forth. 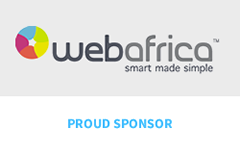 Sure, powering the home alarm is obviously a concern, but that’s a whole new ball game because I read on forum that to connect the generator to your mains is a whole new ball game that requires a special switching box and that’s another R2,000 or so. So that’s quite a fancy generator in my opinion. If you’re like me and would perhaps like to be able to power a router, charge a laptop and a mobile, and maybe boil a kettle to get some warm water, you won’t need such a fancy generator. 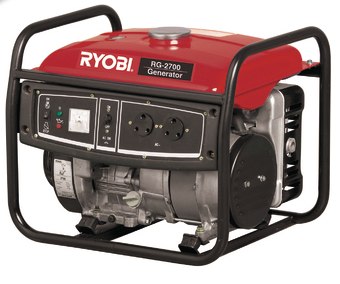 Again, looking on the Game website you can get an Ryobi 2.5KvA generator for R3,499 which is far more affordable. There are some differences though, apart from the obvious: this one is a pull start rather than a key start, it only has a tank for 12 litres of petrol. On the flip side, it’s only 40kg in weight and size comes in at 52cm (L) x 43cm (W) x 45cm (H). The 2 year guarantee applies too. The output is half of the previous one and the tank size is also roughly half the size so I’m going to estimate that you’ll get a couple of hours if you’re using a light load of devices – possibly perfect for the bare essentials, but don’t expect your fridges and the likes to really work for much time on this one in my opinion. 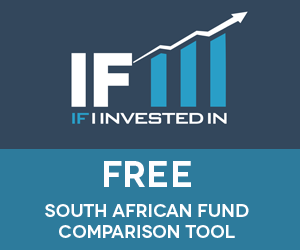 Eskom do have a power usage generator so that you can see how much current is drawn from what ever device / appliance you have in your house. Fairly useful to just find out what draws a lot and what doesn’t, don’t ask me about the math behind adding the usage up and then deciding on the generator, that’s an area I am still investigating. I know that Game also stock some, but Makro’s selection looked better. I am no expert on this subject, this is just some research I’ve done. Please feel free to share your knowledge in the comments below to help us all out.